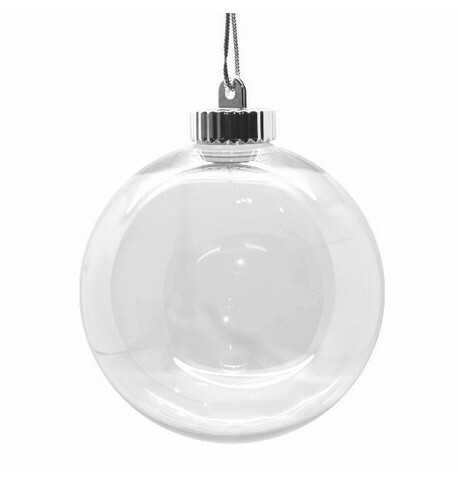 These clear Christmas tree baubles that look just like glass they look beautiful hung on ribbons so that the light shines through them. 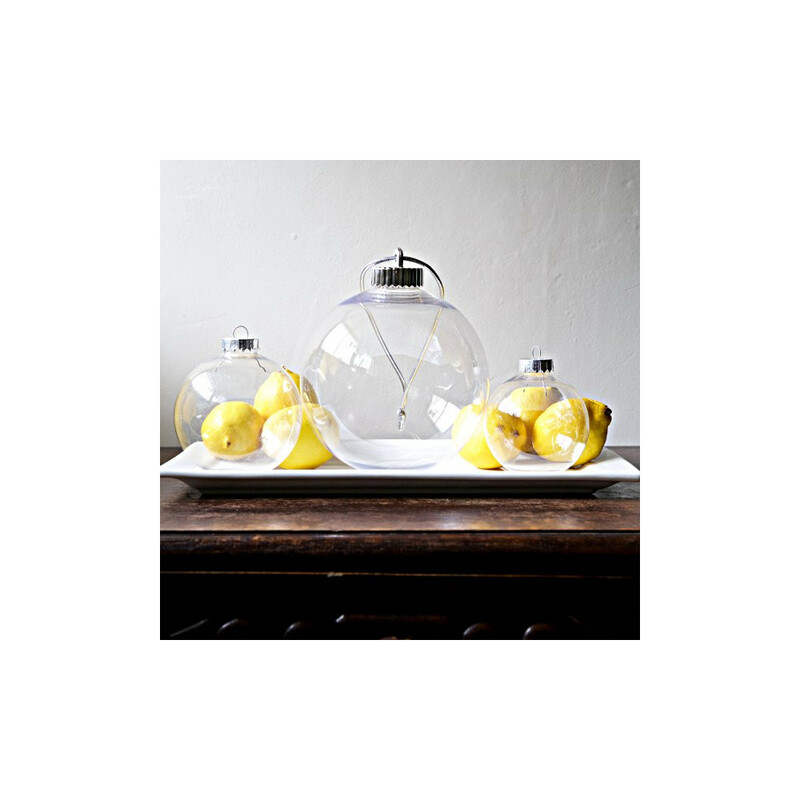 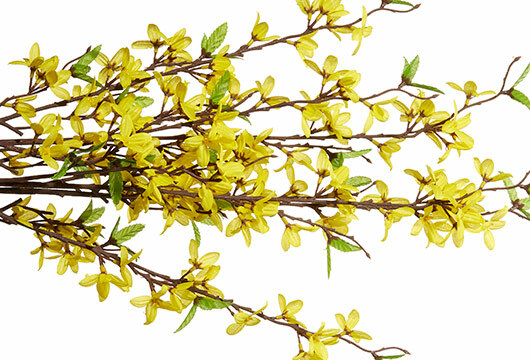 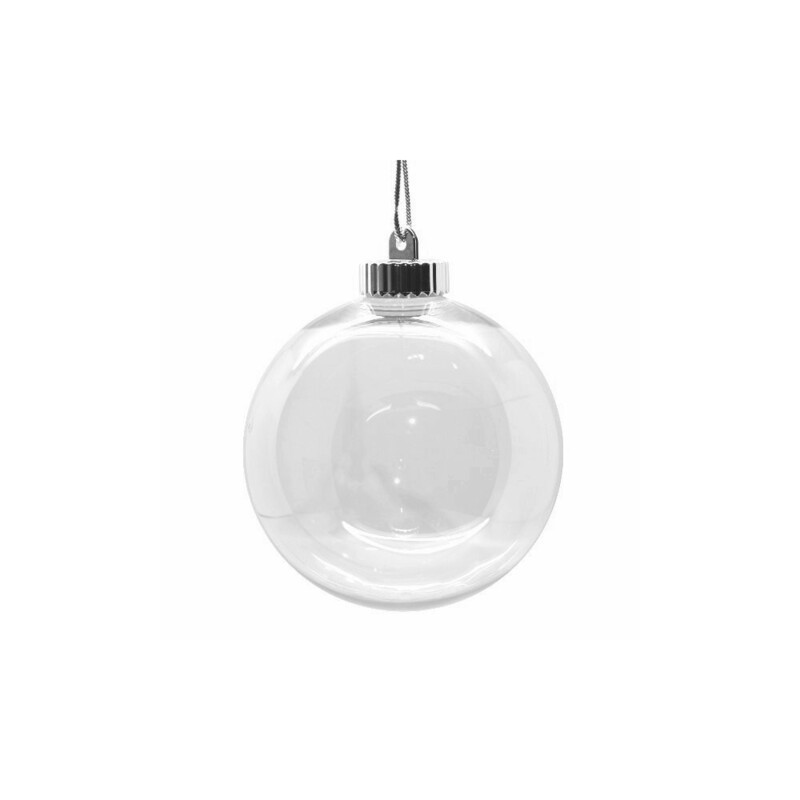 Shatterproof and made from food grade plastic, these robust baubles are great for decorating to your own needs and specifications. 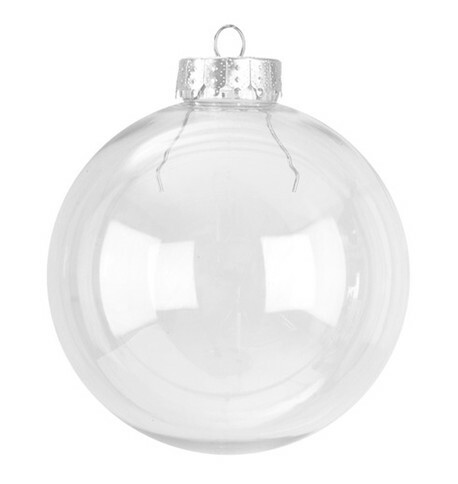 They also feature a removable metal cap at the top so you can add decorations, sweets etc to the inside of the bauble. 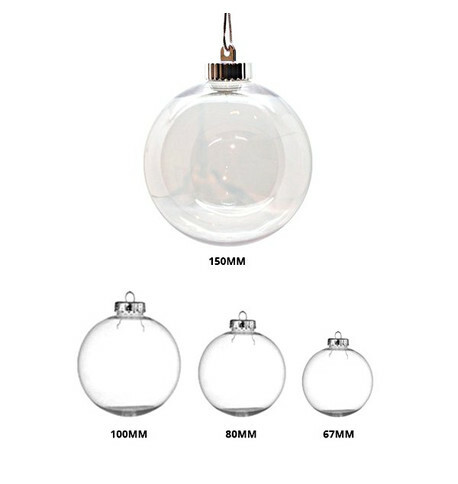 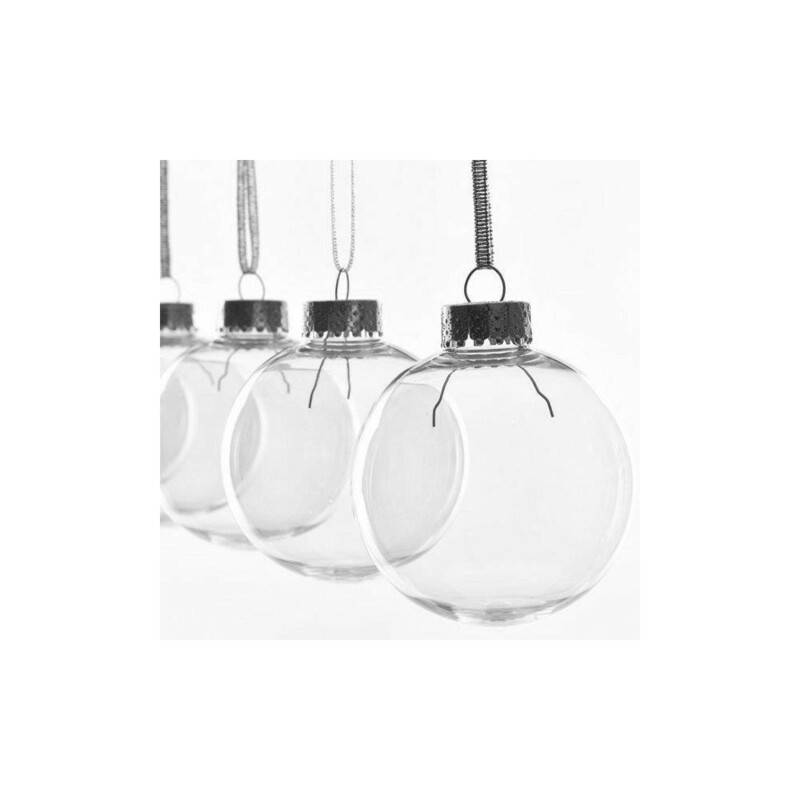 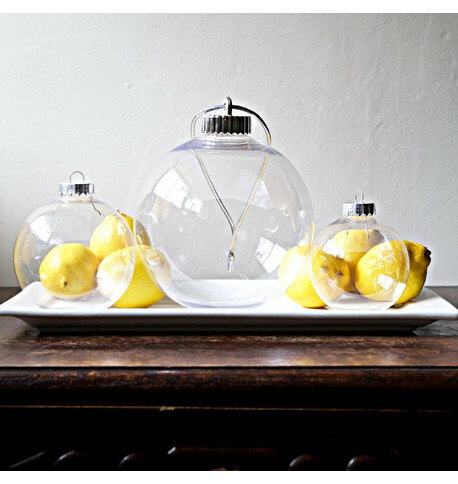 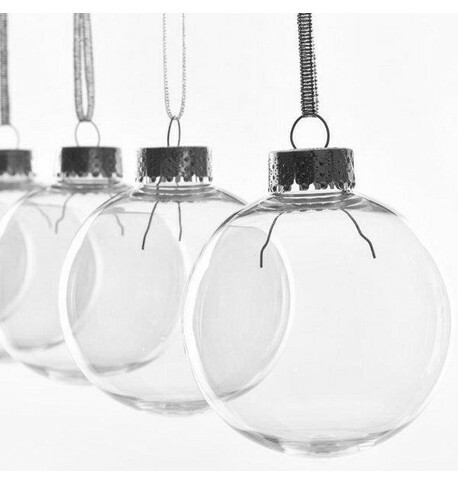 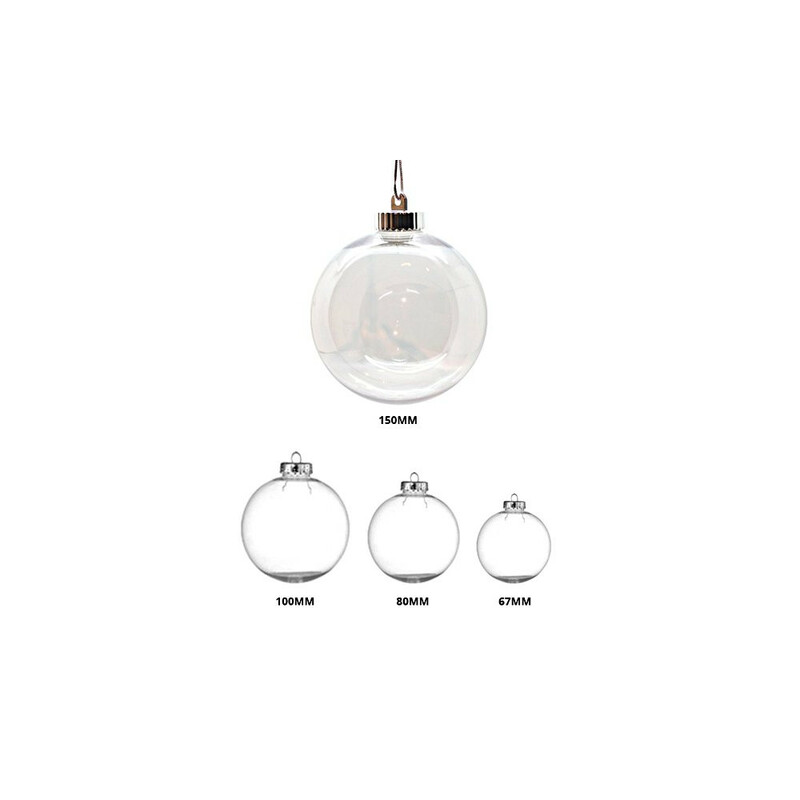 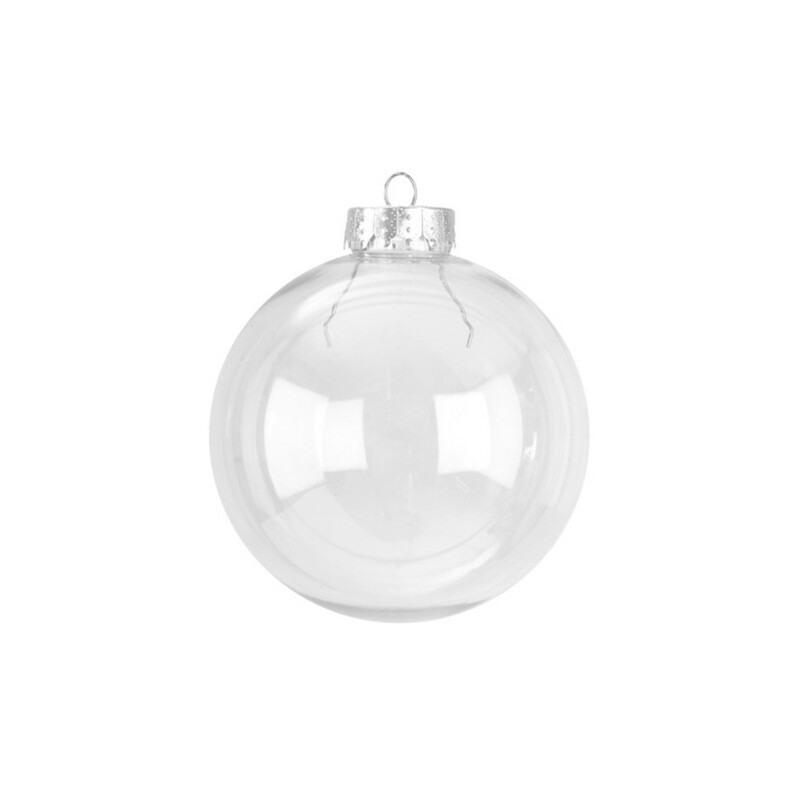 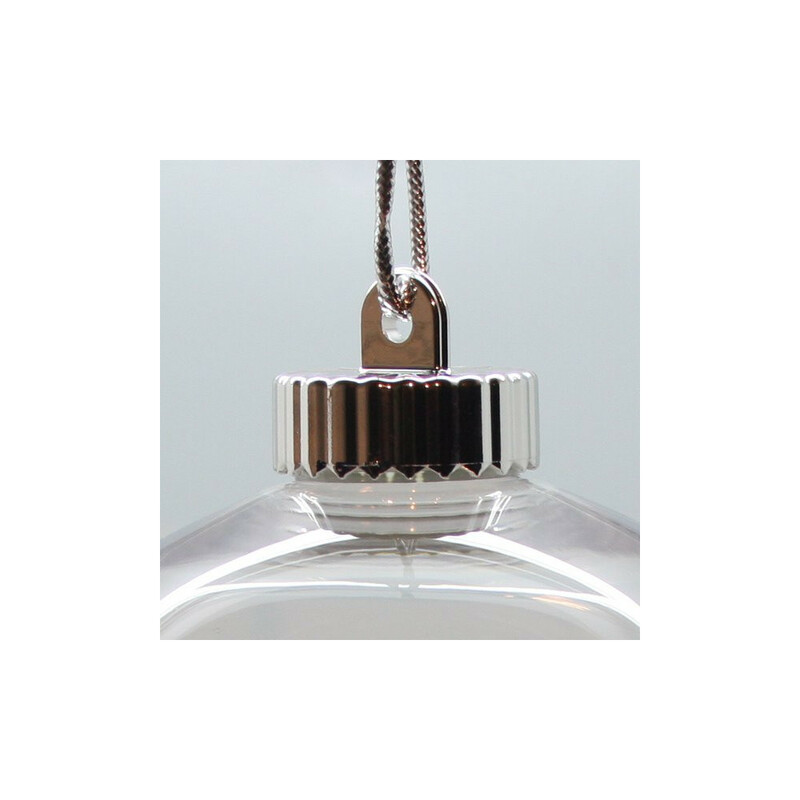 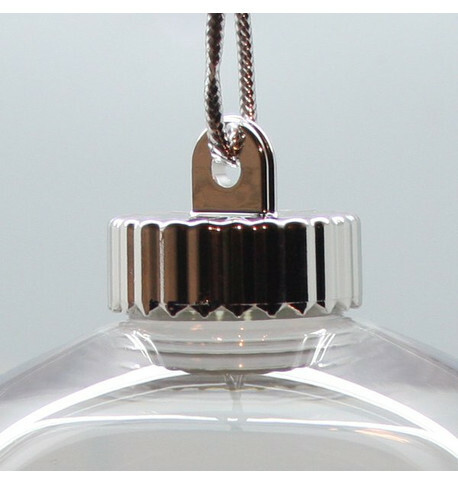 Also available in 150mm diameter - these bigger baubles feature a liquid safe screw top for filling the bauble, whilst keeping it secure when hanging.